The photographer took the photo at Taft Point at Yosemite National Park on Oct. 6. 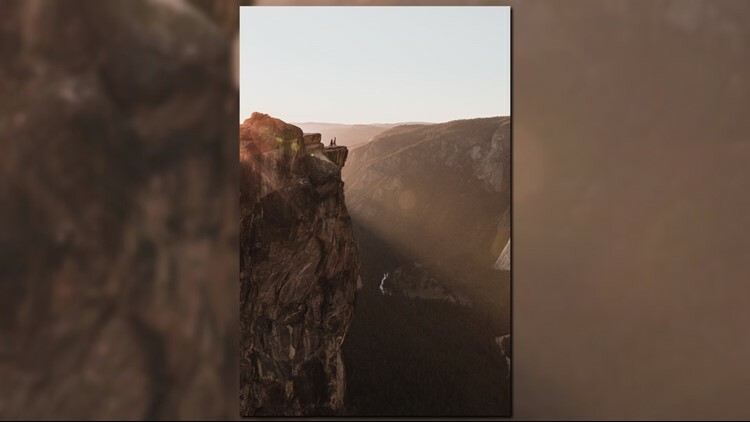 GRAND RAPIDS, Mich. -- A photographer snapped a stunning photo of a proposal at Yosemite National Park, and now he's looking for the couple in the photo. Matthew Dippel captured the proposal at Taft Point at Yosemite National Park on Oct. 6, but he has no idea who the people in the photo are. He's posted the photo across social media in hopes of finding them. As of 5am Friday morning, his search was still ongoing. Taft Point at Yosemite is a popular spot for photographers and sight-seers, offering breathtaking views of Yosemite Valley, Yosemite Falls and El Capitan. The point is named after 27th President William Howard Taft. The trail start is about five minutes before the end of Glacier Point road.